Juan Carlos Rodriguez is a native of Abilene, Texas and is proud of his West Texas roots. While pursuing his undergraduate degree in Criminal Justice, he received the university’s prestigious Presidential Award and was active in student government, campus ministry, and residential life. While in law school, Mr. Rodriguez was selected by the United States Department of Justice Attorney General’s Honors Program for employment with the Immigration & Naturalization Service. In 2001, Juan Carlos began his career with the federal government as an Assistant District Counsel with the Miami Office of the District Counsel for INS. He later transferred to San Antonio, Texas and was a founding member of the Department of Homeland Security while serving as an Assistant Chief Counsel for United States Immigration & Customs Enforcement. 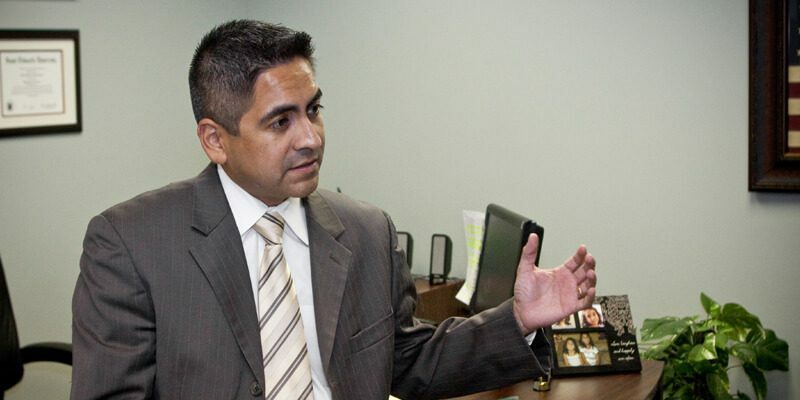 Juan Carlos then moved to Dallas where he served as an Assistant United States Attorney for the United States Attorney’s Office for the Northern District of Texas. While there, he prosecuted numerous immigration-related criminal offenses as well as a variety of gun and drug trafficking offenses. In addition, he litigated two cases before the United States Court of Appeals for the Fifth Circuit which resulted in published opinions. See United States v. Garcia-Arellano, 522 F.3d 477 (5th Cir. 2008); and United States v. Flanders, 468 F.3d 269 (5th Cir. 2006). Following his federal career, Mr. Rodriguez went into private practice before joining DMCA in 2011.